Firstly, anyone who comments on the merits of books he hasn’t read is a complete idiot, which I will now attempt to demonstrate. But I can’t help noticing the buzz of reportage on the infamously secretive – does that make sense? – Koch brothers, two American siblings whose vast family resources have long been directed toward a conservative agenda. They featured in David Brock’s 2016 book Kill the Messenger: The Right-Wing Plot to Derail Hillary and Hijack Your Government, Daniel Schulman’s Sons of Wichita: How the Koch Brothers Became America’s Most Powerful and Private Dynasty from 2015, and most starkly in Jane Mayer’s Dark Money: The Hidden History of the Billionaires Behind the Rise of the Radical Right, also from 2016. These are certainly serious works, and I certainly don’t doubt their theses that very rich people use their fortunes to influence politics, often doing so as discreetly, even underhandedly, as possible. And I can readily believe that most of those very rich people lean rightward in their values, and put more of their support behind business-friendly candidates and policies. What I’m less sure of, however, is whether this is a recent development that threatens to undermine democracy as we know it, or just a new variation on an old story. In fact, money has influenced electoral politics forever; more importantly, money has influenced political discourse for just as long. The social upheavals of the 1960s and 70s, for example, weren’t wholly grassroots movements; the ideas behind them were eagerly propagated by publishers, movie studios, record companies, and other economic players. Maybe there weren’t so many direct donations to political causes as we see today, but don’t think that the producers and editors – the people writing the cheques – weren’t motivated, at least to some extent, by their own political outlooks. 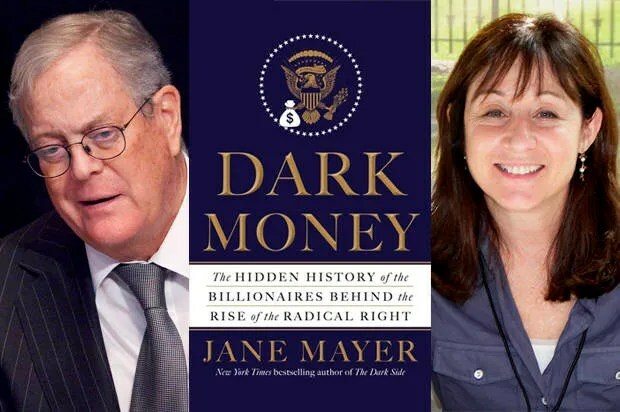 In that sense, Jane Mayer’s Dark Money sounds like a mirror image of old right-wing fringe’s conspiracy theories, of Jewish media barons and godless Communists foisting suggestive music and dirty films on an unsuspecting public, in order to reap huge financial rewards while inculcating in ordinary citizens a reflexive approval of marihuana, race-mixing, free love, and other evils. Now, I’ll concede that my wholehearted endorsement of marihuana, race-mixing, and free love may have been partly formed by suggestive music and dirty films purveyed by Jewish media barons and godless Communists. 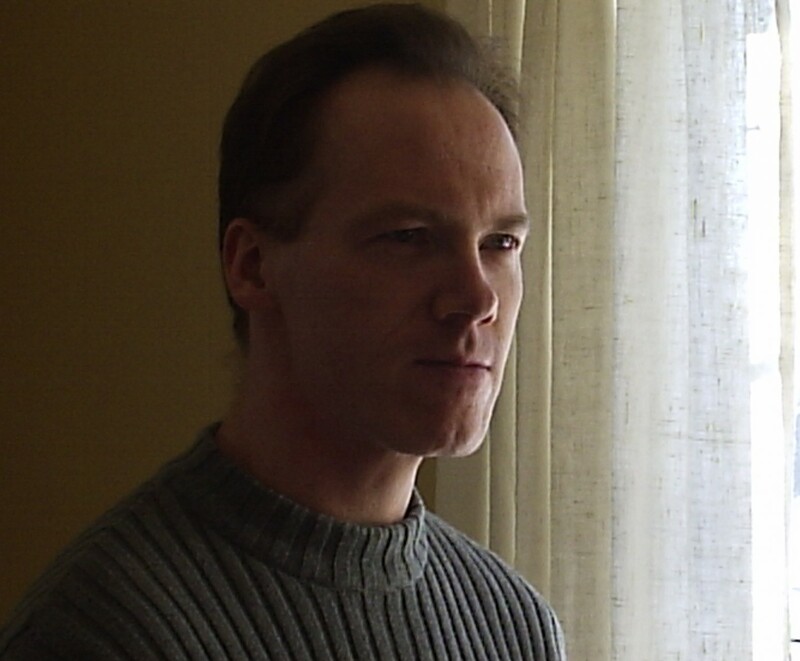 But I can also make perfectly rational arguments in defence of my positions. I’ve looked into the issues, heard opposing perspectives, and have considered what matters most to me, based on my personal ethics. That’s called “freedom of thought,” and it applies to conservatives and Koch brothers, as well as to progressives and Hollywood tycoons. Yet like so much else in latter-day democracies, partisans only detect a problem when they’re on the wrong side of it. If my views are popular and my party is in power, then the people have spoken, but if the other guys are in the ascendant, then the system has been corrupted. Likewise, when hundreds of millions of dollars are spent disseminating ideas to which I’m sympathetic, then hurray for intellectual liberty, but when the same amount helps spread information I don’t like, then beware of Dark Money.